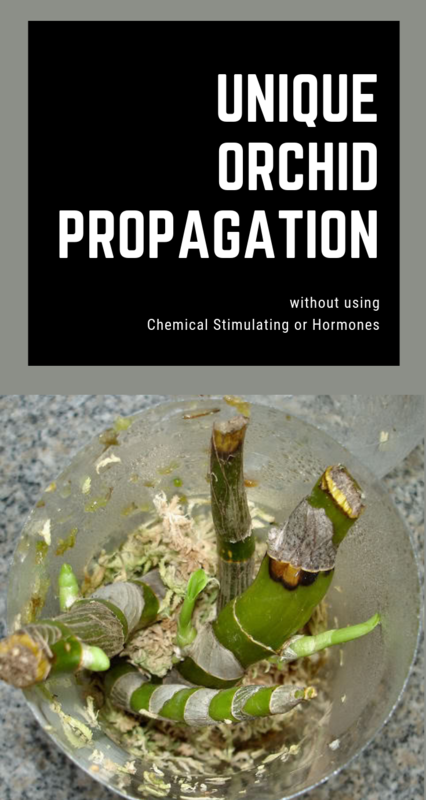 This unique method of propagate orchids without stimulators and hormones it will be loved by all orchid breeders. Orchids are distinguished by beautiful colors and large leaves that give plenty of oxygen. Try to multiply these wonderful plants without resorting to stimulators and phytohormones and you will have a house full of orchid flowers. 1. Cut the plastic bottle in half, and the top of it will act like a lid. 2. Pre-hydrate the two types of moss. 3. The rods must be wrapped in moss and attached to fishing rope. 4. Pour water to the bottom of the plastic bottle and place the rods there. 5. Cover the rods with the top of the bottle. 6. Make some holes in the upper side of the plastic bottle for the air to ventilate the rods. 7. It’s recommended to put the rods on the window sill.